The Sustainable Minerals Institute brings together engineers, scientists and social scientists to deliver sustainable development research, technological developments and community solutions to address minerals industry impacts. 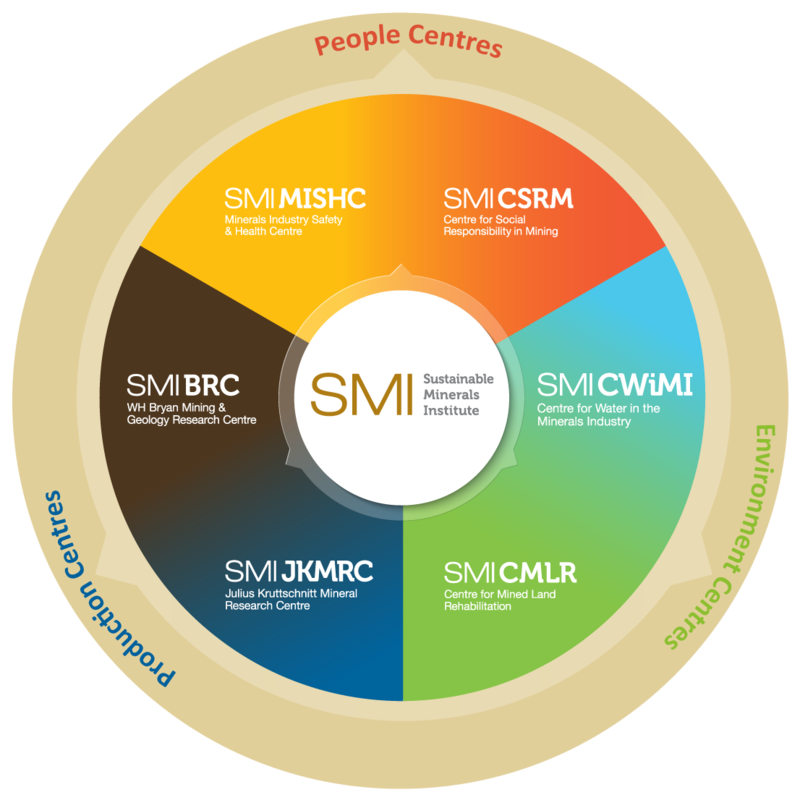 SMI researchers work across the life of mine, resulting in unique capabilities and collaborations available at no other research institute in the world. SMI is committed to the transfer of research outcomes to the industry. Our projects spans a range of research areas related to current issues in sustainable development for the minerals industry. Our research covers mining, mineral processing, water, communities, risk and environment. Examples include energy efficient comminution, mass mining technologies, mine site water management and mine closure. The Sustainable Minerals Institute is made up of six inter-disciplinary centres and an international centre of excellence. Each centre works in developing and applying the principles of sustainable development to the resources industry.